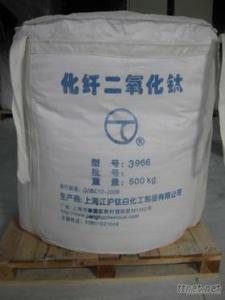 3966 Chemical Fiber TiO2 adopts excellent surface treatment and pre-dispersing process. The titanium dioxide particle is wrapped by complete and sound interfacial film, which makes it less likely to aggregate by enhancing powdering force and space transfer resistance. As a result, the titanium dioxide particle can reach the required particle diameter, and meet high quality standards. It is mainlyused in Polyester manufacturing.